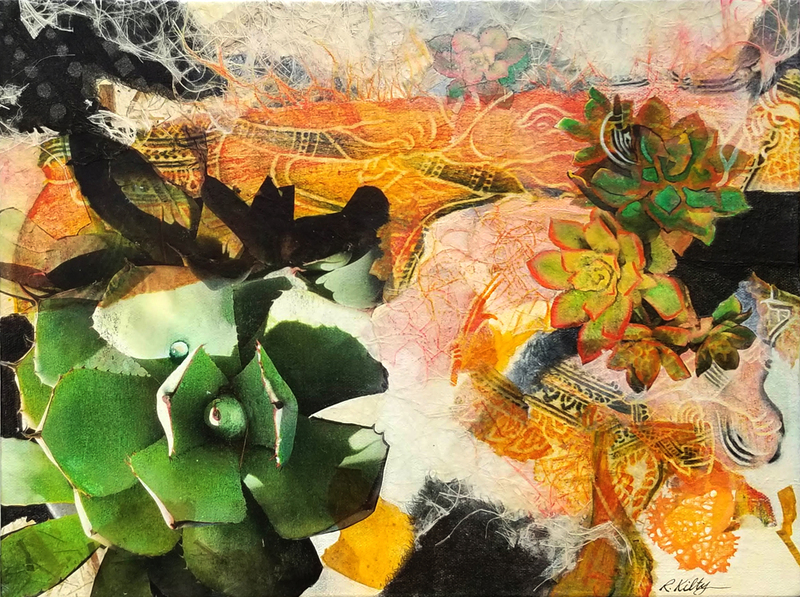 Bobbi Kilty, Agave, Aeonium, and Old Lace, Collage in acrylic, digital transfers on gampi, acrylic ink, oil pastel, Thailand rubbing, decorative papers on canvas, 16″w x 12″h x 1.5″d, $300.00. All four sides painted in acrylic with decorative papers, ready for hanging. Awarded Certificate of Merit, Mid-Michigan Art Guild, November 2018 at Okemos Library.